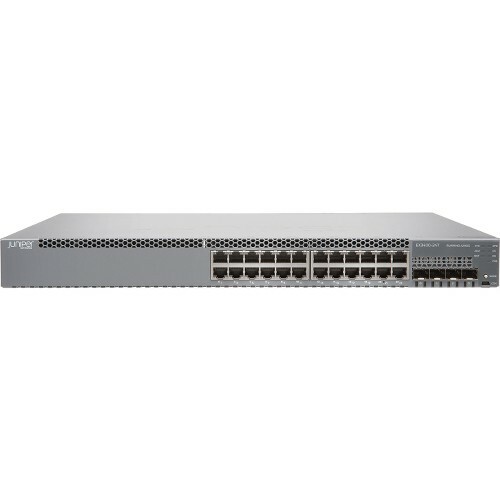 Juniper Networks EX3400 Ethernet Switch delivers a high-performance, flexible, and cost-effective solution for today’s most demanding converged data, voice, and video enterprise access environments. 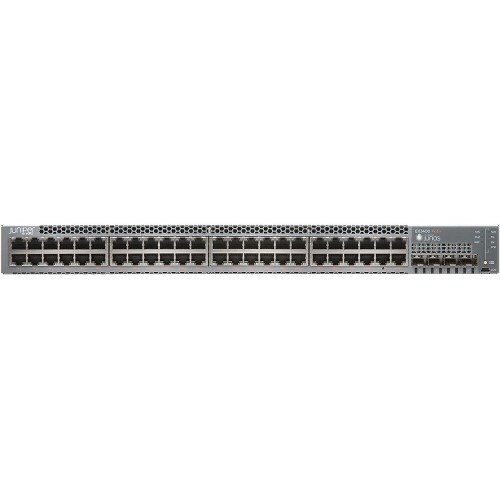 To simplify network operations, the EX3400 is hardware-ready to act as a satellite device to Fusion Enterprise deployment, which can combine several wiring closets into one logical management platform. The EX3400 also supports Juniper Networks Virtual Chassis technology, allowing up to 10 switches to be interconnected over uplink ports and managed as a single device, delivering a scalable, pay-as-you-grow solution for expanding network environments.